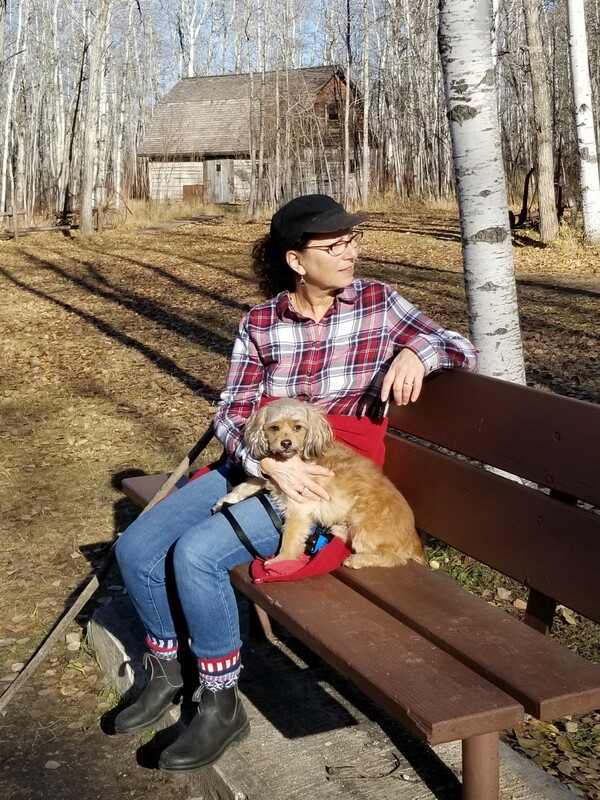 Brenda Sciberras is a Winnipeg poet, who’s first poetry collection Magpie Days (Turnstone Press) won the Eileen McTavish Sykes Award for Best First Book at the Manitoba Book Awards and was also nominated for the John Hirsch Award for Most Promising Manitoba Writer 2015. 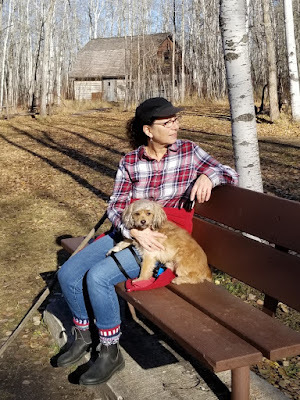 Her poetry has appeared in Canadian literary journals including Room of One’s Own, CV2, Rhubarb, Prairie Fire and the Literary Review of Canada. As well as anthologies; A Cross Sections: New Manitoba Writing (MWG, 2007), I Found it at the Movies: An Anthology of Film Poems (Guernica, 2014) and Heartwood: Poems for the Love of Trees (LCP, 2018.) Her second book of poetry, Starland, was launched with Turnstone Press (2018) this past April. She holds a Bachelor of Arts degree from the University of Manitoba and works as Library Technician in a high school. Brenda currently sits on the National Council for the League of Canadian Poets, as the Manitoba representative. Having my first book accepted by Turnstone sent me over the moon! It was the validation I needed to raise my confidence that I hadn’t been wasting my time writing all those poems, for all those years. My first book was twenty-five years in the making, between raising three daughters, working full-time in a library and going to University part-time evenings, I somehow managed to fit in writing a few poems. That collection was confessional/persona poetry; coming-of-age, marriage, divorce, death of parent, all those life moments. I just wrote what came to me and figured out where it fit into a collection later. For my second collection, “Starland,” I focused on developing the craft, trying out more formal poetry; ekphrastic, elegy, erasure, the ode, villanelle and a ballad. I knew where I needed to go to make it a book. I had much more confidence in my ability as a writer for the second collection. Necessity I suppose. I can’t remember a time when I didn’t write poetry. Other than a diary or journal, I found it to be the best way to stay close to sane. Also, time was a big factor, as one can write poetry in little spirts of time and play with it later but fiction, is a whole other story. For me it’s a slow start into any new project. For my second book, I did a fair bit of research before I began to write most of the poems. I read biographies on Hank Williams, Amy Winehouse, Marilyn Monroe, and I studied some astrology. The second book was more planned out with a theme in mind from the start and I knew where it had to go. The poem begins with single words, little notes or phrases I’ve scribbled down, hopefully building toward a poem…then revise, revise. I have the advantage of working in a library all day and I also have access to old catalogue cards which are lovely for this purpose. A few of my poems have just come to me and only need a small adjustment, but I have a limited number of those beauties. My first collection slowly evolved into a book, the second one, had a theme from the start and I worked on that theme until I felt I had enough material for a book. Performance equals anxiety as I’m rather shy and don’t like being in the spot light. I don’t freak out, but I do suffer from a few sleepless nights before an event. Public readings are certainly not something I think of during my creative process, however I do censor what I read aloud depending on my audience. Maybe I’m questioning human nature or humanity. Why society behaves as it does. I might be trying to make sense of an ordinary life, mine or someone else’s, or maybe a not so ordinary life too. I think we are missing empathy in our everyday lives and I find it all disheartening, so I write to try and make sense of our fast-passed world. I don’t think I’m answering any questions, just trying to figure things out. As a writer, I hope I entertain, and that the reader connects with what I’ve written on some level. I don’t believe a writer has a role other than to write the best they can. A poet however, needs to keep poetry alive and well into the future, as it has a remarkable past. I would have to say both. This is the process of being published by a publisher, otherwise self-publish. Working with an editor is a necessary process in making ones work stronger by gaining another perspective (a professional one) that you would otherwise miss out on. Write about subjects that matter to you and don’t take yourself to seriously. These days I write whenever I can steal some free time. For years, I used to set my alarm clock for 5 a.m. and write for an hour before I got ready for work, but the older I get, I realize I can’t keep those hours anymore. I work seven hours a day, five days a week, I have an elderly Mother, my husband and I have eleven grandchildren….sometimes life and all it’s responsibilities just gets in the way. So, I do try write a few evenings a week and sneak in some time on the weekends. I always have a notebook handy too write when I can, and I manage to get it done. That’s were those little old catalogue cards that I’ve scribbled on come in. I keep them in a large envelope and peruse them periodically for ideas. I also turn to other poets. I have book shelves over flowing with poetry books, so when I’m in a slump, I pull a book off the shelf and just plain read poetry. A walk outdoors in nature always helps. Roast chicken…sorry all you vegetarians! As a child growing up in the country, we did raise chickens for a time, and Sunday family dinners were special. Needless to say, roast chicken and all the fixings, was a common meal in our home. To this day, that aroma takes me back to my childhood and is still my go to comfort food. I think my poetry has been influenced by all the above. I tried my hand at ekphrasis poetry after seeing Botticelli’s “The Birth of Venus” in Florence. I immersed myself in the music of Hank Williams, Johnny Cash, Amy Winehouse, Leonard Cohen and David Bowie as inspiration in writing their poems. I studied astronomy and astrology to write about “stars” and I took walks outdoors in nature thinking of what comes next. My first mentors, Sue Goyette and Phil Hall were important in my development as a writer. I do love so very many poets and there are some that I return to often for inspiration… Elizabeth Bishop, Leonard Cohen, Lorna Crozier, Dorothy Livesay, Gwendolyn MacEwen, Anne Michaels, Susan Musgrave, Mary Oliver, P.K. Page, and Molly Peacock, and that’s just the start of my list! I mainly read poetry, literary fiction, biographies, anthologies and essays. Learn to play the guitar has been a goal of mine for a long time. I’ve answered a couple of those career questionnaires in my lifetime and they always come back with the same three occupations; Librarian, Writer or Documentary film maker. I would love to give the documentary film business a try! Necessity I suppose. I’ve always been drawn to writing as it helped me navigate this complicated world and clear my head. Also, the convenience of the craft…you only need pencil and paper and your thoughts, no other supplies…anywhere anytime! That’s a tough question…again there are so many classics and Canadian literature to choose from that I could name but I’d have to say the book I’m reading at present is a great book, otherwise I wouldn’t keep reading it. Not sure if that makes sense? I usually read about eight books at a time, not including two or three poetry collections. I juggle my books. I have four going at home, three fiction and one biography, at work in my library, I’m reading three fiction and one non-fiction. I know exactly where I left off in each book. Granted it takes me longer to finish “a” book per say, but this is my process and it works for me. The last great film I watched was, Paterson….of course it’s about a poet! Currently, I’m mulling around an idea for my next poetry collection. I like to research my idea first then delve in. I rarely reveal that idea until my manuscript is well established.